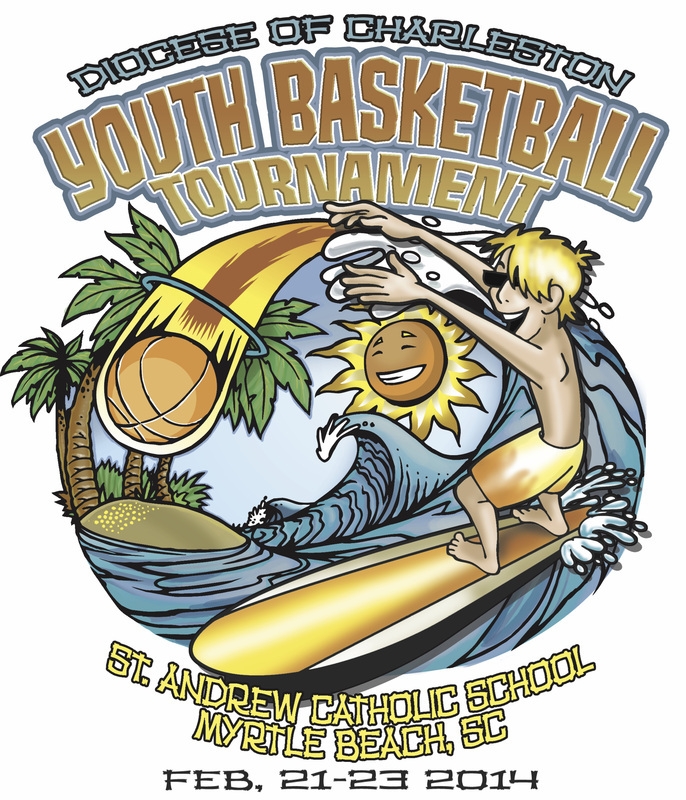 Hundreds of Catholic young people will gather in Myrtle Beach on February 21-23, 2014 for the annual Diocese of Charleston Youth Basketball Tournament. This year's tournament will be hosted by St. Andrew Catholic School in Myrtle Beach. All participating teams will be guaranteed 3 games in this tournament, and each team should plan on playing a game on Friday night, February 21. There is an additional cost to play in this tournament. The cost per player depends on how well we do with our fundraising activities. The estimated cost is $70, which includes a two-night hotel stay. The players room and stay together throughout the entire trip under the supervision of coaches and parents. Additional guest (parents and family members) will be able to stay at a host hotel at a discounted rate. Other miscellaneous costs include money for some meal, souvenirs, etc. St. Mary Magdalene typically carpools Friday afternoon (yes, before school lets out) to the host city. All St. Mary Magdalene teams will attend mass on Saturday night, followed by dinner and entertainment that is part of the tournament festivities. Games continue on on Sunday for teams that advance. St. Mary Magdalene teams will return home late Sunday afternoon.